I am delighted that my passions are my livelihood through AbunDance Healing Arts and am committed to a life of learning, growing, and sharing these healing gifts with my community. I received my BA in International Studies (Anthropology and African Studies) from UNC-Chapel Hill in 1994 and have been privileged to travel and live in Ghana, Guatemala, Cuba, Southern Africa, India, Thailand, and Europe. It has been a great honor to serve as a youth ally and mentor in multiple locations and capacities since 1991. 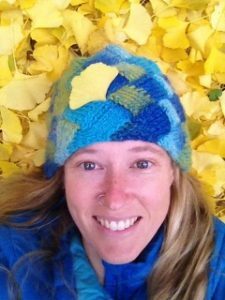 Learn more about my teaching experience at my wild foods & medicine, yoga, and energywork & massage pages. My on-going commitment to spiritual activism, racial equity, and liberation for us all deeply inform my daily life and community building. Spending time with four generations of my local loved ones, napping in the yarden, and being present with the abundant love in each moment sustain me in realizing my vision for AbunDance Healing Arts.